Fill out the form below to receive a detailed price quote in less then 24hrs. THP can also be reached at top-hatdj@hotmail.com or call us at 309-360-0002 to set up a no obligation meeting to discuss having Top Hat Productions DJ your reception or event. 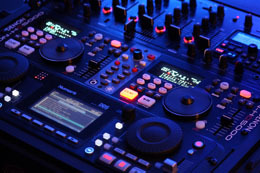 We will sit down and go through what you need, what you are looking for in a DJ and give you a price quote on the spot. We will respond to your inquery in the next 24hrs. Thank you for visiting Top Hat Productions! Please check your Junk Email Folder if you do not see our response! !